I have to admit with 2015 quickly coming to a close, 2016 is looking pretty dog gone good already. This weekend my husband and I are going to be moving 3 hours north of the small town we have called home together since 2009. This move is going to be good for us in so many ways, one because we are going to be closer to family. While we could have moved 1.5 hours south and been near family as well, we left there in 2009 for a reason. Big city (Ft Lauderdale area) just wasn't for us anymore. Although moving back down south meant being near several of my cousins, my aunt and husbands mom, brother, sister, their spouses and my two best friends. Moving north meant being closer to one of my daughters, still in a fairly small town, and also near one of his brothers (literally a stones throw across the street). We will be 35 minutes from Disney and 45 to Busch Gardens, not to mention all my Central Florida family that I miss so much as well. 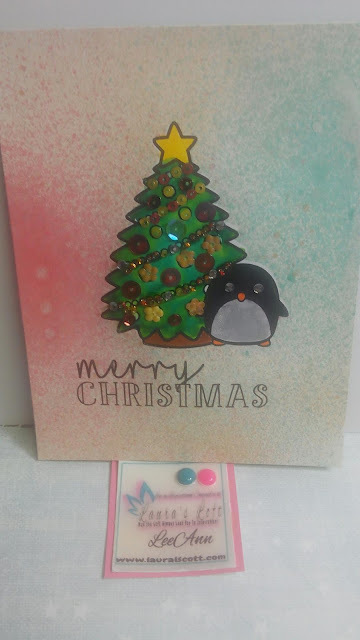 Along with this move and good things for 2016, I am proud to announce I have been chosen as one of the 2016 design team members for Joy Clair Stamps and their new line Color by Faith as well. This is going to be and exciting adventure, going right along with my design team position with Laura's Loft. 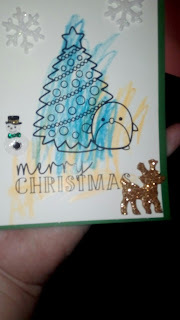 Busy with my crafty fun, and blog posting. At the same time, am looking forward to the job possibilities in our new town, and for sure will be looking at my favorite craft stores for employment availability. 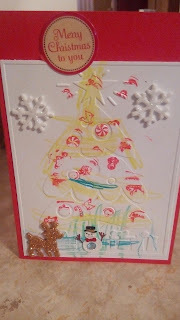 So Merry Christmas to my blogging family and friends. Hope everyone has a great end to 2015 and an even better 2016. 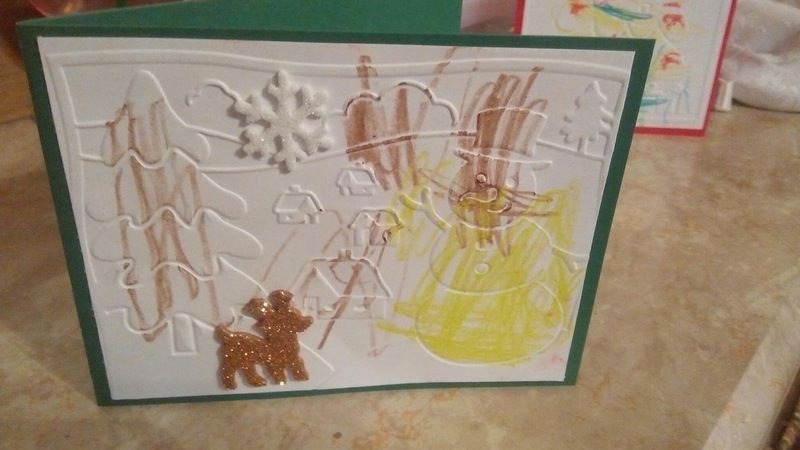 This card I made using a digital stamp that was a limited time black friday offer from the OneRunClub. This group is great, especially with the fact that the clear as well as digital stamps are limited editions. Once they are gone, they are gone. This Christmas file was fun to work with using my spray misters from A Muse in Pink and Green and a Gold spray I made myself. I colored the images with my Bic Mark-Its and the sequins are from Laura's Loft Autumn Serenade collection. After I made this card, I took a little trip for a few days to help out a family member that had just had surgery, of course as usual my crafty case went along with me... 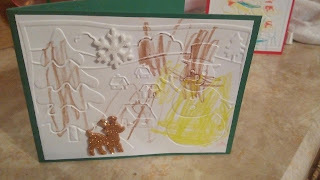 I sat one night with the three year old grand daughter and had fun watching her color and use stamps and stickers to create cards for her Nonna, MomMom and Daddy.... these were her cards, I showed her how to use my cuttlebug and she ran the paper through herself making the embossed images and then gave them her magic touch. I think we have a little card maker in the midst. Looking forward to more crafty times with her.